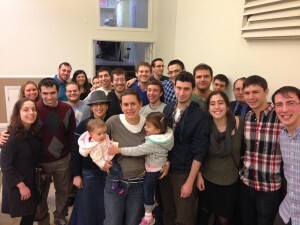 The Center for Jewish Living takes great pride in its vast and accomplished alumni network. 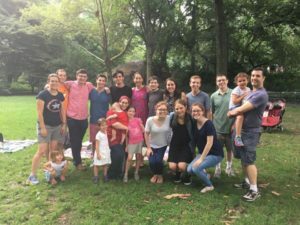 Whether a part of the Young Israel of Cornell or a more recent member of the CJL, past members share a unique bond through their common experiences at 106 West Avenue. No matter how recently, or not recently, you graduated, we invite you to look around the site and see some of the things that we’ve been busy with on the Hill. We’re always looking to reconnect with our alumni, forging bonds between past and current members of the CJL community. We hold meet-ups for Alumni and Current students at least twice a year, along with informal gatherings year-round! 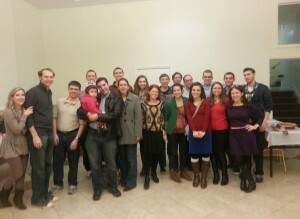 We also love to see alumni visit for Shabbat or anytime. Explore the sections below to see how you can connect to the CJL and help ensure its longevity. In recent years, the CJL community has enjoyed tremendous growth. Membership rates are up and the house is seeing a record number of residents. The house is undergoing constant evolution in response to this influx of members. 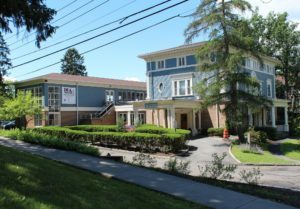 Renovation projects are in the works to ensure that the CJL is around to serve future generations of the Cornell Jewish community. We need your help to support the growth of our community. Please consider making a tax-deductible donation at the link below. 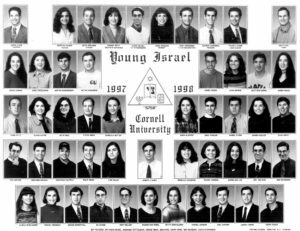 Your YIC/CJL connection doesn’t end once you leave Ithaca after graduation. We maintain strong bonds with alumni through our tight-knit alumni network. We hold alumni meet-ups around the world throughout the year. Consider joining our alumni listserv to receive updates from campus in your inbox. Fill out the form at the link below to register as a YIW/ CJL alum so we can keep you in the loop regarding the latest alumni news. Check out the sections below for more helpful alumni resources. Want to give back to the CJL community? Consider joining our Alumni-Student Mentorship Program. Whether it be an email, a coffee chat or an internship, your help can go a long way in shaping the professional prospects of CJL members. Sign up below! Getting married? Had a baby? Got a new job? Share your good news with the CJL community. Fill out the form linked below and we’ll include your simcha in our next newsletter! If you’d like to add a picture to your announcement, please email it to us. Stay connected with the CJL through social media. 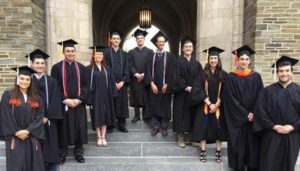 Click below to visit our alumni/current student Facebook group to connect with CJL members past and present. You’ll get updates from our Alumni Relations Committee about upcoming events and initiatives.